90% of wage earners in America should start seeing higher paychecks starting in February according to the Treasury Department as the new tax rates take effect. The IRS released the new tax withholding tables reflected by the tax cut bill that was signed into law in late December. The time it will take for employees to see the changes in their paychecks will vary depending on how quickly the new tables are implemented by their employers and how often they are paid — generally weekly, biweekly or monthly. 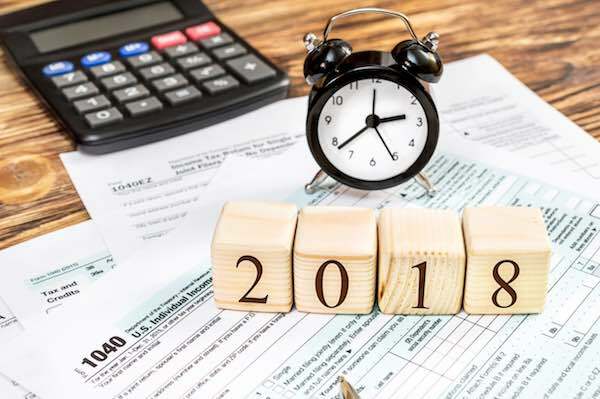 The government is encouraging employers to implement the new withholding tables as soon as possible but no later than February 15, 2018, according to a statement from the Treasury Department. In conjunction with the release of the new tax tables, two lawmakers have asked the Government Accountability Office to examine whether or not the new tax tables will provide adequate withholding for taxpayers. The new withholding tables are designed to work with the Form W-4, the form employees fill out which allows employers to adjust how much tax to withhold based on a number of factors, that workers have already filed with their employers. No action is required by employees at this time. The IRS is working on revising the Form W-4 and its withholding tax calculator to reflect additional changes in the new tax law, such as changes in available itemized deductions, increases in the child tax credit, the new dependent credit and repeal of dependent exemptions. The IRS anticipates the new calculator should be available by the end of February. Until the new Form W-4 is released, the 2017 version should continue to be used. The notice below published by the IRS shows details on withholding amounts from employee paychecks based on the 2018 tax rates. « Does My Locality Pay Rate Include the Basic Percentage Increase?